SoftPlanet makes it possible for everyone to get free Kvisoft Flash Slideshow Designer download directly from our servers. There is no registration needed for downloading. Kvisoft Flash Slideshow Designer is a program that shows its capabilities right after you start it. The application suggests two modes in which you can work and they portray the two main functions of the app. The modes are Slideshow and 3DGallery and when you choose any of them, the program will open a new window that will give you the needed instruments. These functions will be found useful by all users, because from time to time everyone needs to make, for example, a slideshow, but you can use them for free for 30 days. After that you can buy the application from developer Kvisoft for USD 49.95. Kvisoft Flash Slideshow Designer can create very different sideshows, because it can add effects on every page. Also, you can use one of the many themes, that the application suggests. If you want, you can decorate every image in a unique way. When you are done with the slideshow, you can publish it. The available formats in which you can create the slideshows are XLS, ZIP, SWF, EXE, SCR and more. 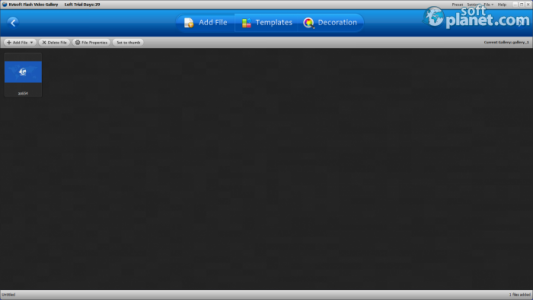 The interface of Kvisoft Flash Slideshow Designer is based on a tabbed interface, which makes the usage of the functions quite easy. You can add different images from a button named Add Files and next to it are Template, Effect, Decorate and Publish buttons. When you click on any of them the appropriate screens will open, which contain different templates, etc. The 3D gallery also has a tabbed interface. 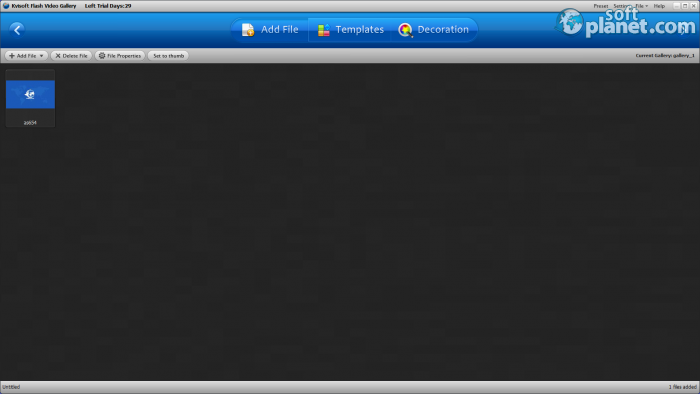 It offers three main screens where you can add files, change templates or decorate different images. The gallery can also be easily created, because the buttons for Add and Delete files are available right from the moment you start this app. Kvisoft Flash Slideshow Designer can create nice looking 3D galleries that look like Cone, Ring, DoubleRing or RotateSpiral. There are many other templates, which show that the app gives you nice choices. This can also be said about the Slideshow mode of the application, since there you can choose among Astronomy, Ancient, Autumn, ComicWorld and many other themes. The large number of available choices is one of the main characteristics of this app. Kvisoft Flash Slideshow Designer is a two-in-one application, because with it you can create slideshows or you can make 3D galleries with images. The program offers many themes, effects and templates so you can create unique slideshows or you can make a 3D gallery of your images that are unique. The app may be paid, but because of its capabilities it is worth every dime. 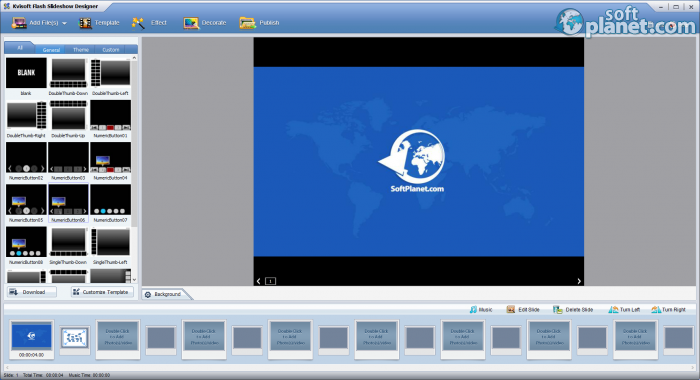 Kvisoft Flash Slideshow Designer is VIRUS-FREE! Our security scan shows that Kvisoft Flash Slideshow Designer is clean from viruses. The current version of Kvisoft Flash Slideshow Designer has been scanned by our system, which contains 46 different anti-virus algorithms. That ensures that Kvisoft Flash Slideshow Designer is 100% safe for your computer.